Featuring the all new Vertical Sub-Ohm OCC Coils with greater wattage range (15-60W), new airflow design and Aqueous Ceramic Coating for greater durability. Longer lasting than the original horizontal OCC coils with a larger heating surface area. New design means greater saturation, as eliquid now soaks into the cotton much better for increased vapour production and flavour. Enhanced airflow system. Same pure taste from its natural, toxic-free wick! 22mm diameter. 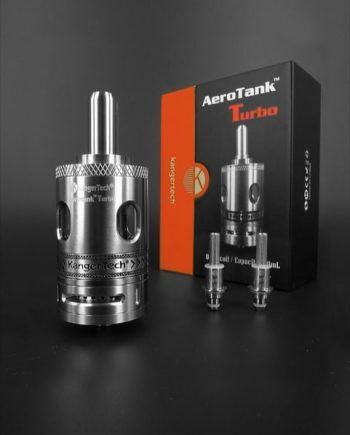 4.5 ml tank capacity. 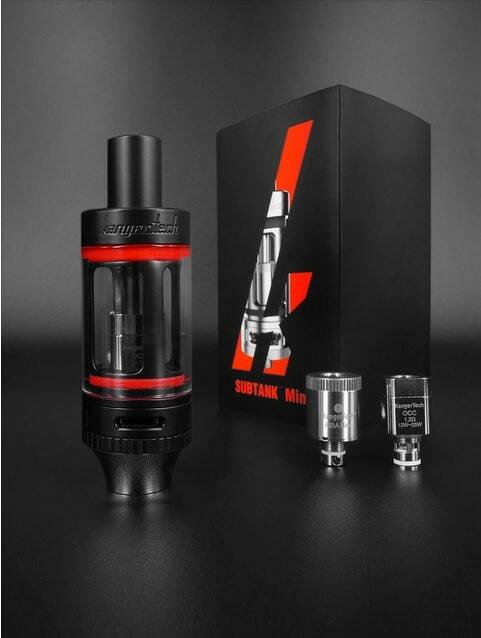 Subtank hybrid. Japanese Organic Cotton Coil (OCC). Switch between OCC heads and a new Mini rebuildable atomizer head. 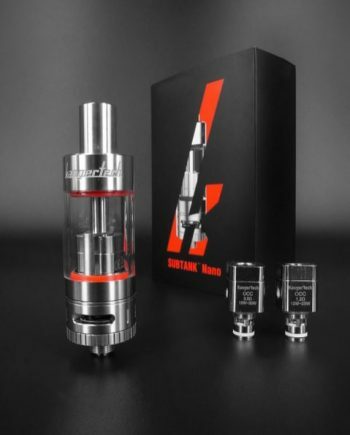 Replaceable drip tip. New adjustable airflow valve. Spring loaded 510. Genuine Kangertech product with hologram and encrypted QR code. 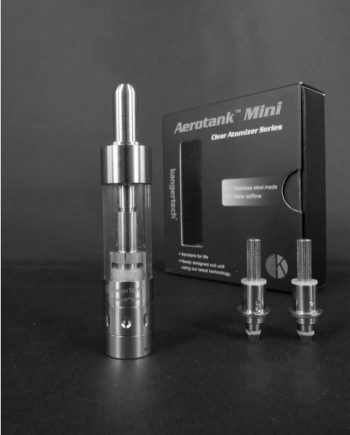 The subtank mini is a classic. One of my mainstays. Love the black colour. Looks amazing on my subox. 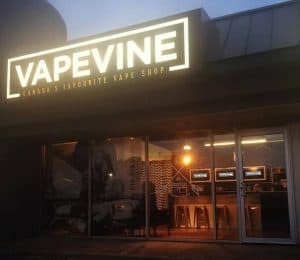 Highly recommend for beginners and advanced vapers alike. 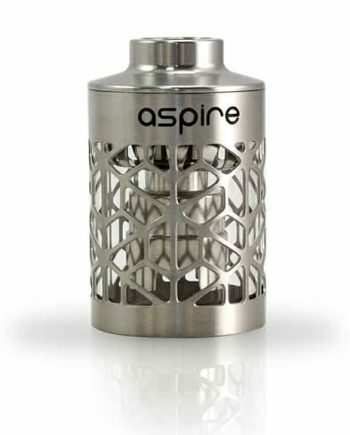 Still one of the best sub-ohm tanks around. Love it. Got the black one with a subox mini key and it’s great. Took a little getting used to for mouth to lung hits but after a day or two it’s great. Planning to buy a second one soon.